Jon Jones, despite his two years absence from the Octagon, TKO'd Alexander Gustafsson in the main event of the UFC 232 to retain the UFC light heavyweight title. All thanks to Conor McGregor as he had a gift for the proper celebration of the victory for the former pound-for-pound king- a few bottles of his popular Proper No. Twelve Irish Whiskey. Champ recognizes champ. The former UFC's two-division champion had him sent the gift already ahead of his bout against Gustafsson as reported by Yahoo! Sports reporter Kevin Iole. 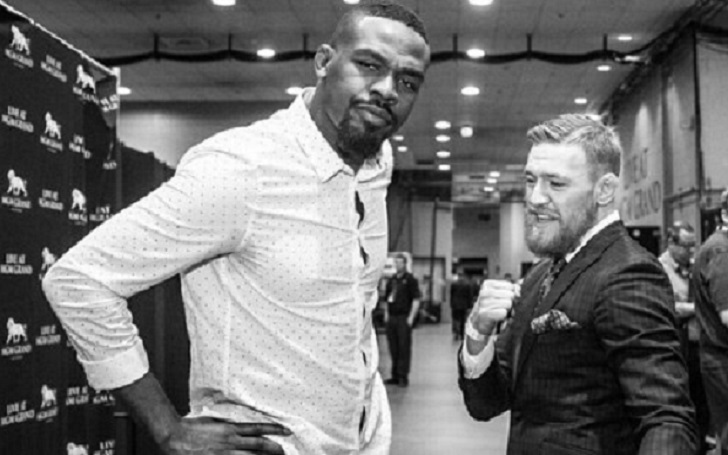 "Ran into [Jon Jones] in the hotel lobby and he said [Conor McGregor] sent him and his team a bunch of Proper 12 whiskey"
The two UFC's fighters, who have been into several controversies over the past two years, have huge respect for one another as Bones earlier said that Conor still can defeat Khabib despite his worst loss in the UFC 229. Conor McGregor had a clever reply for a fan who tweeted that Jones should not be associating with Conor as he had a bad influence. However, he quickly deleted the post. Conor wrote which he later deleted. Jon Jones, with the won over Gus, has maintained an excellent record of 23-1 in his career. His only loss was against Matt Hamill in 2009 which came via disqualification after he landed several illegal elbows. He then has an undefeated win streak defeating the light heavyweight stars like Quinton “Rampage” Jackson, Chael Sonnen, Alexander Gustafsson (twice), Glover Teixeira, Daniel Cormier, and Ovince Saint Preux.